NRO Tim Ottmar spoke on the Spokane Police Department’s Neighborhood Resource Officer program specific to the Cliff Cannon Neighborhood. Property crime is generally a crime of opportunity = don’t leave valuables visible in a car, keep garage doors closed, etc. Crime statistics = see spokanegis.org for monthly crime statistics identified by location and type. To report a crime = if in progress, call 911; if after the fact, call Crime Check 456-2233. Always report a crime even if police are unable to follow-up. Ed Bryant, Certified Permaculture Designer, presented a program on (food forest??). When properly designed, plants in the garden/forest develop a symbiotic relationship which leads to a sustainable environment (needs less water, fertilizers, soil amendments, etc.) The approach can be used in urban and suburban situations. Representatives from the Spokane Convention & Visitors Bureau and the Public Facilities District spoke on the upcoming vote (April 17th) on Measure 1 to reauthorize the hotel and sales tax. Ann Bergman and Kelly Cruz updated the group on recent activities of the Land Use Committee (sub-committee of the CA). -- invited to inform an Ex. Com. member of any traffic safety issues in their neighborhoods. -- updated on upcoming placement of mobile traffic signs along neighborhood arterials. In a February 16 Executive Committee Meeting*, members voted to approve a Planning Resolution whereby the following neighborhoods agreed to join the South Hill Coalition and combine financial (design) resources/funds to support traffic calming planning: Cliff Cannon, Comstock, Manito/Cannon Hill, Lincoln Heights (with an option to add Rockwood if they decide to join). The resolution was confirmed by a vote (unanimous) at the general meeting of the Cliff Cannon Neighborhood Council on March 8. *Action was required by the Executive Committee on behalf of the CCN in order to meet a February deadline set by CA-NPAC. Spring Clean-up is scheduled for May 22nd (curbside) and May 29th (Large Appliance). The year was kicked off with a stroll around the neighborhood to view (and then vote) on the Tree of the Year. Nominations were received earlier. The winner --- Evelyn Creager’s Flowering Cherry at 1212 S. Wall. Working with the City’s Urban Forestry Department, Evelyn will get to select a public site in the Cliff Cannon Neighborhood and an appropriate tree to be planted later this Fall. Patricia Hansen was nominated (moved and seconded) to serve on the Executive Committee. A vote is scheduled for the next General Meeting. She will be filling a vacancy and will serve through May 31st when the next elections are held. Dump Passes were made available (value $25) at the meeting. They are good from September 10 through September 25. 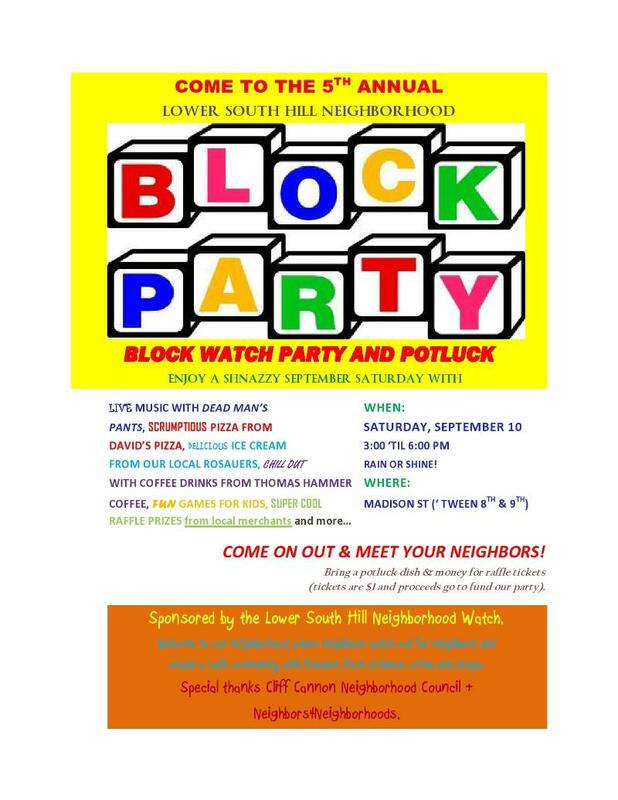 The “Lower South Hill Block Watch Party” will take place Saturday September 10th from 3 pm – 6 pm on Madison Street between 8th and 9th Ave. This is the largest block watch in the City. There will be live music, food, entertainment, and the opportunity to get to know people from the neighborhood. Neighbors were reminded both bus routes through the western part of the neighborhood are changing September 18th. 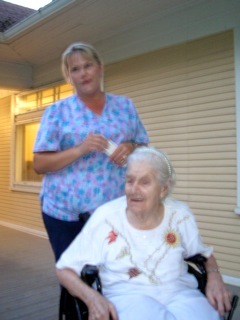 Schedules were made available to everyone. Sidewalk Bump Outs on 8th and 9th and Walnut have been delayed at least twice this summer. Schedule now calls for them to be installed before it snows! The STA bus shelter on the north side of 14th (across) from Rosauer’s is also scheduled to be installed before it snows! There was a reminder that funds are being collected for the next neighborhood tree. Molly Meyers, Communication Director for STA, spoke about the upcoming route and stop changes going into effect September 18 that impact CCN. …specifically Routes 43 and 48. (Map attached.) Information is available on their website and the Downtown Bus Terminal. Prior to eliminating a bus stop, they will post notice at the stop to alert riders. STA plans to construct a bus shelter on the south side of 14th Ave. (across from Rosauer’s). The following people were elected to serve the upcoming term (June 1 – May 31)., leaving one unfilled position. City will be installing sidewalk bump outs at the intersections of 9th & Walnut and 8th & Walnut (by the Woman’s Club). These enhancements should make it easier (and safer) for pedestrians to cross this busy street. The second project involves placement of mobile speed signs on major arterials (for about 2 weeks at a time) – Grand near 11th/12th, Cedar and 14th. Patricia Hansen, Block Watch Coordinator for area Lincoln to Walnut and 5th to 11th and member of Neighbors4Neighborhoods spoke about the difficulty of getting neighborhood input to the city as well as getting information from the city on actions that impact neighborhoods. Discussion centered on activity in the neighborhood around the new Ace Hardware store on 9th and Monroe-- status of the three houses west of the hardware store, traffic issues, status of no parking signs along the north side of 9th one block west of Monroe (in front of George Avila’s former home). The rational for installing them is muddy at best (multiple answers from various city departments and misinformation about neighborhood involvement) and it is unclear why the signs have gone up and come back down numerous times. 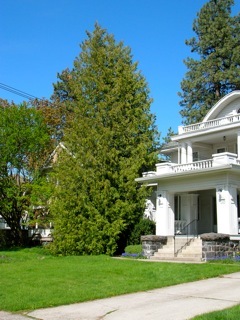 After a good deal of discussion, a motion was offered to “Send a letter to the city on behalf of the Cliff Cannon Neighborhood Council to recommend that the No Parking signs along the north side of 9th Ave. between Madison and Monroe be taken down until the city develops a policy regarding No Parking signs.” Motion was seconded. (The following amendment was offered and accepted by the person making the original motion and the second.) The Motion shall be amended to: “Members of the Cliff Cannon Neighborhood Council present at the meeting of May 12, 2011 support the Executive Committee in taking the action outlined above (under the Motion).” A voice vote was taken. PASSED. Jeff Perry, Spokane City Arborist both spoke on the condition of Spokane’s urban forest, the need for diversity and their commitment to maintaining a healthy forest. During the discussion period they answered numerous questions including what options they have for accommodating large canopy trees which often cause problems with nearby sidewalks, what communication exists between their department and street projects when trees are involved, who’s responsible for street trees, etc. The 3rd Annual Neighborhood Tree -- (a Sweetgum) was planted on 15th Ave. next to Roosevelt School. Nancy MacKerrow coordinated with Jeff Perry on appropriate types of trees and locations. In this case, we requested the Roosevelt location to thank the school for allowing us to use their multi-purpose room for meetings. In a prior meeting, the neighborhood voted for the Sweetgum. June Snack & Stroll -- is scheduled for June 10th starting 6 pm at Polly Judd Park. This year, the Stroll will visit a flourishing community garden, a yard whose owner uses sustainable practices and a garden full of area appropriate plants along with native plants. Participants will also note the good aspects as well as problem areas in the neighborhood along the route to include in the overall neighborhood Walkability Audit. Spring Clean Up – Large Appliance is scheduled for Tuesday, May 18th and Curbside for Tuesday, May 25th. In October, dump passes will be available at the October meeting. 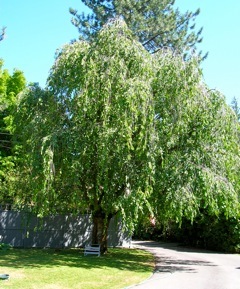 Favorite Neighborhood Tree – neighbors are invited to nominate their favorite tree. 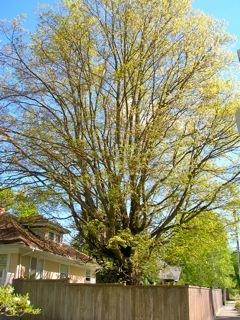 A vote will be taken next Fall and the winner will get a free street tree. Walkability Audits – are scheduled for Monday, May 17th at 7 pm, meet at Rosauer’s parking lot (14th & Lincoln) and Wednesday, May 19th, 7 pm, meet at Blockbusters store (empty) on 13th and Grand. These walks are the kickoff of a planned project to walk as much of the neighborhood as possible with the goals of 1) identifying the positive aspects so the neighborhood can work to protect these 2) identifying the negative aspects so the neighborhood can work for solutions to correct them and 3) get neighbors walking! Information about upcoming walks as well as results will be posted on the Cliff Cannon Neighborhood Facebook. Complete Streets -- of Furturewise, spoke on the important role streets play in the livability of a community where ALL people (pedestrians, bicyclist, motorists) feel safe and welcome on the roadways. Discussion followed on specific streets and intersections within the Cliff Cannon Neighborhood that present problems for pedestrians and bicyclists. The majority of issues sited by neighbors involve 1) getting across the four north/south arterials with people having to cross four lanes of fast moving traffic; don’t’ feel safe even in crosswalks 2) difficulty in walking/biking to and from downtown; no safe/good routes down the hill for pedestrians and bikers. Spring Clean Up -- Will schedule curbside and large appliance clean up in mid-May per preference voiced by neighborhood. Favorite Neighborhood Tree Program – Nominations will be taken during Spring meetings with the vote and tree planting ceremony taking place in the Fall. Grant Wencel, City Bicycle/Pedestrian Coordinator highlighted some of the accomplishments made this year on trails (completion of the Fish Lake Trail, work on the Iron Bridge near Mission Park). Implementing the finalized Master Bike Plan will be a major focus of his attention. He also spoke on upcoming plans – a safe, convenient bike route through downtown, gaining Bike Friendly Community Status, 2nd annual bike and pedestrian count at 10 intersections. Steve Hanson, City Engineering gave an update on the Lincoln Street project with specific information on linking the storm water run-off into the Cannon Hill Pond. Leroy Eadie, Acting Director of City Parks and Recreation went over plans to accept the filtered storm water run-off into the Pond. He also went over why the City is taking this action – the pond loses water (out the bottom) which must be replaced at a substantial cost. Other action will be taken to maintain the water at a constant level. Polly Judd Shelter – fundraising is in progress to build a shelter in the Park. A web page has been launched with neighborhood information -- cliffcannon.tripod.com. People were asked what issues they had. Lighting along the south end of Polly Judd Park shines right into neighborhood homes. Could it be repositioned to shine more on the ground. Can we have a stop light at 14th and Cedar? Can we get refuse cans back at bus stops? City Councilman Richard Rush will host a webinar on walking to and around schools. Jan. 26th, 11 am, Council Chambers.